This is the second of a series of blog posts commenting on tracked changes to the draft Elective Home Education Guidance for Wales. The public consultation closes on July 3rd. Section 436A (Children Missing Education) just needs to be quoted straight, not paraphrased inaccurately. 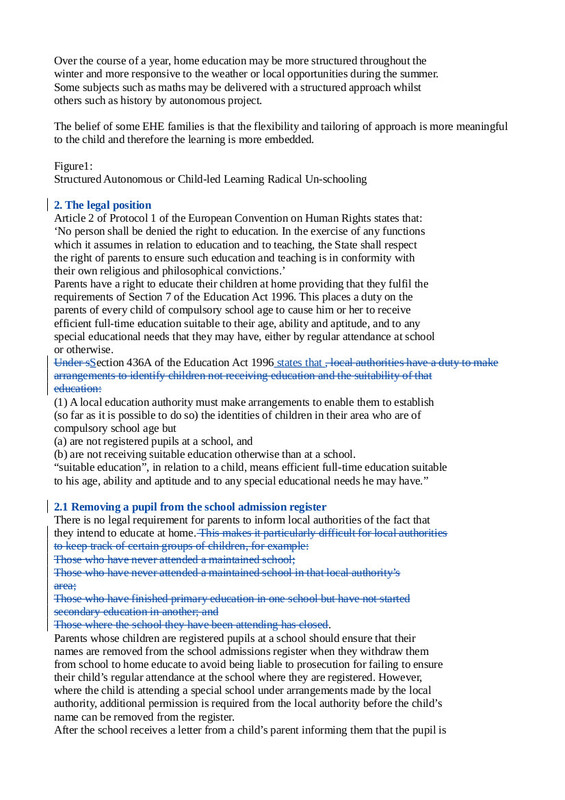 List of reasons why LAs may ‘lose track’ of children is redundant in the context of guidance on home education. Deregistration section is fudged and possibly deliberately unclear. Should spell out that school place can’t be kept open. Best avoid passive verb construction; SCHOOLS shouldn’t offroll and LAs shouldn’t let offrolling go unchallenged. Sentence about intention and notification is completely confusing. Needs to be something in School Attendance Orders section to make it clear that s437 – framed in the negative – doesn’t imply proactive duty to investigate all homne educated children. 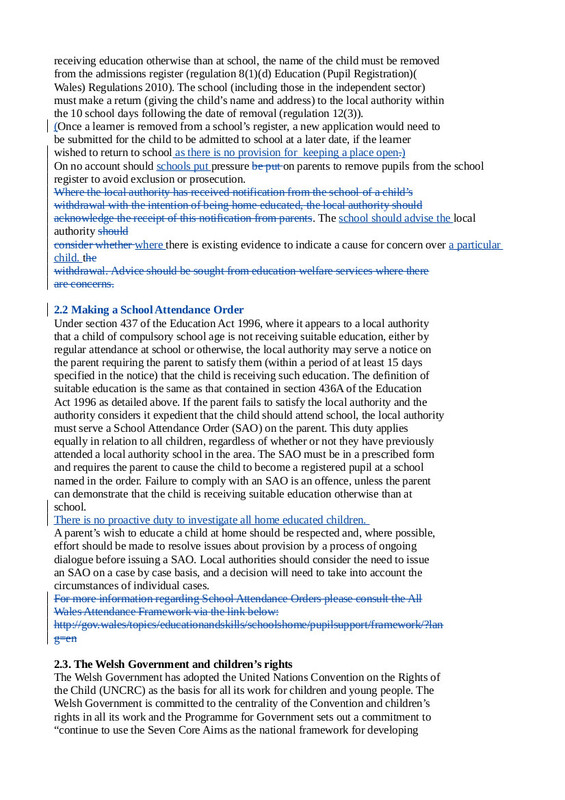 This entry was posted in Uncategorized and tagged Children Missing Education, deregistration, s436A, Tracked changes, Welsh Consultation School Attendance Orders, Welsh Guidance on June 26, 2015 by Fiona Nicholson.